Your Best Choice for North Central Texas - Wise County Real Estate! Paula Benedict has been a resident of Wise County since 2008. She is passionate about giving back to her community and volunteerism, leading to her election to President of the Decatur Lions Club for the 2017 – 2018. Paula received her Master’s degree in Business Administration from Dallas Baptist University and real estate license from Kaplan University. 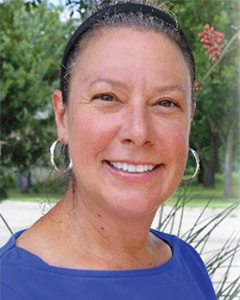 An avid golfer and motorcycle enthusiast, Paula enjoys the vast amenities North Texas has to offer. Even though the real estate process can become overwhelming at times for buyers and sellers, Paula’s main priority is to protect her clients through the entire process. Paula understands the importance of protecting the client’s largest investment, their home. She manages All-Rid Pest & Termite, Inc., a locally owned pest control company, where her expertise guides her clients through this very important step. Whether on the golf course or traveling the scenic by-ways, Paula is ready to serve the needs of her clients buying or selling a property and will work tirelessly to ensure a smooth transaction.